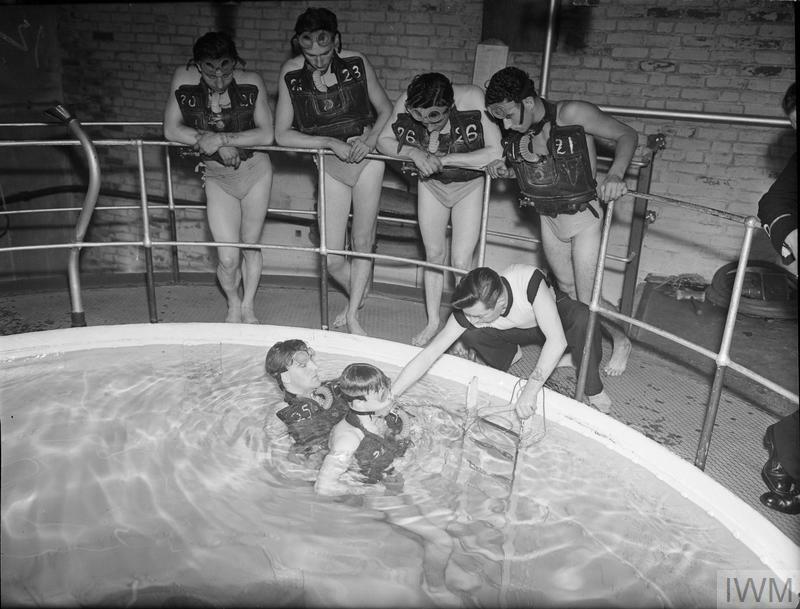 DAVIS APPARATUS BRINGS SUBMARINE-TRAPPED MEN TO SAFETY. 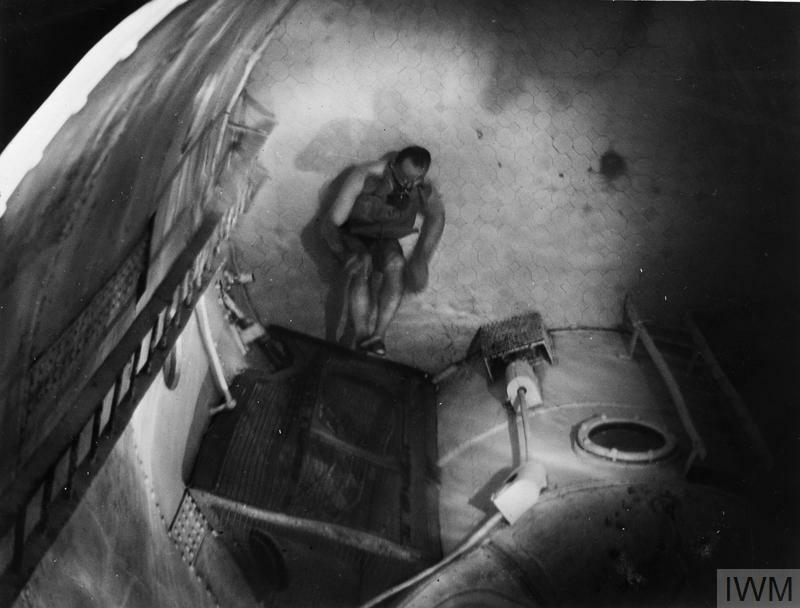 14 DECEMBER 1942, HMS DOLPHIN, AT GOSPORT, THE WAY TO SAFETY FOR BRITAIN'S UNDERWATER FIGHTERS SHOULD THEY BE TRAPPED IN A DOOMED SUBMARINE LIES THROUGH THE ESCAPE HATCH AND DAVIS SUBMERGED ESCAPE APPARATUS. 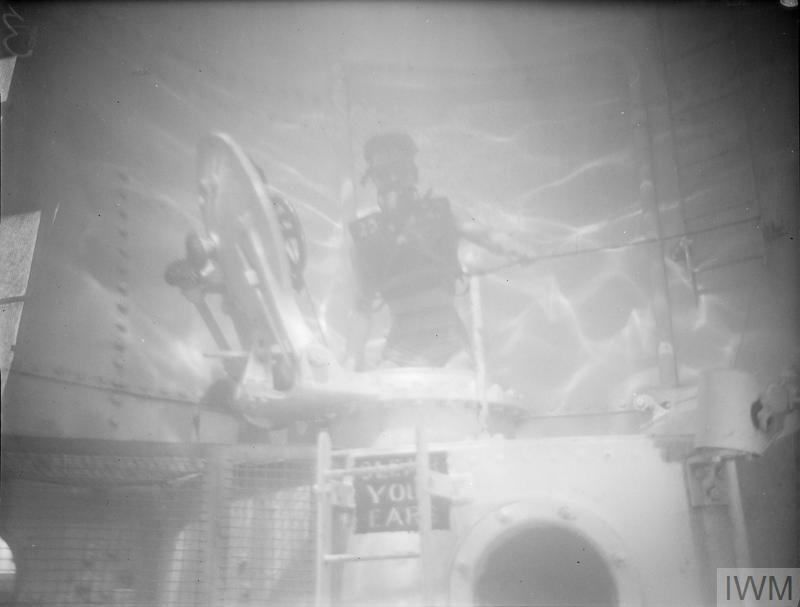 WITH A RUBBER BAG FILLED FROM A SMALL CYLINDER OF COMPRESSED OXYGEN STRAPPED TO HIS CHEST, NOSTRILS CLOSED BY RUBBER CLIPS, EYES PROTECTED BY SPECIAL GOGGLES, THE SUBMARINE SAILOR CAN RISE SLOWLY TO THE SURFACE. HE BREATHES OUT THROUGH A CONTAINER OF CHEMICAL ABSORBENT WHICH PURIFIES THE AIR SO THAT IT CAN BE RE-INHALED. 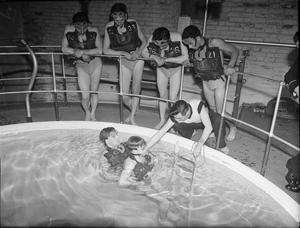 TRAINEES FOR BRITAIN'S SUBMARINE SERVICE LEARNING TO USE THE DAVIS APPARATUS INSIDE A GIANT TANK. 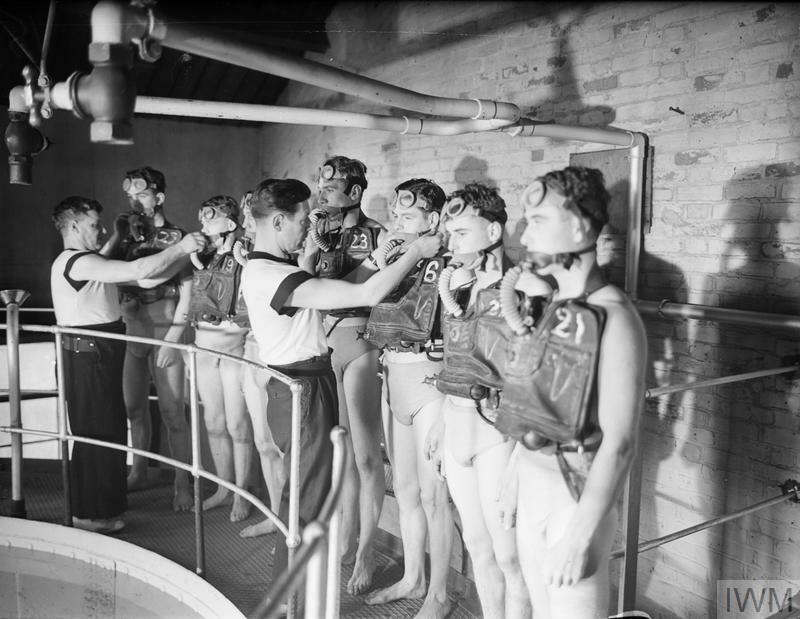 A non-swimmer, helped by another member of a class of submarine trainees, learning how to use the Davis apparatus.